The first time I heard about Raw Bites was last year. I saw them at a bazaar in White Space. They had a colorful set up with all their treats and sweets out on display. As much as I wanted to get my hands on their monthly subscription box, I knew I had a flight to catch. I was going to spend 3 lovely months with the husband over in Europe, so I couldn't exactly subscribe just yet. Fortunately enough, I was reminded of them again when I came back to the Philippines. Instagram is an amazing thing, you guys. I honestly feel like I’ve gotten to know so many new brands because of it. Signing up for my Raw Bites subscription box couldn’t have come at a more perfect time too! I tend to gain a few pounds whenever I’m traveling with the husband, so I always try and eat healthier whenever I’m back in the motherland. Also, I’m a huuuge snacker. I eat like a bird during meal times but I consume food pretty frequently. I even pack a few snacks in my bag whenever I’m out, because let’s face it, Manila traffic is just way too crazy. It's best to avoid any hangry episodes in the car. I signed up for a 3-month regular box subscription on the Raw Bites website. The regular box comes with 10 different snacks and includes free shipping anywhere in the Philippines. A 3-month box subscription comes out at P1,235/box. BUUUUUT since I’m a BDO cardholder, I was able to scrap 20% off my order. I only had to pay P988/box. This is such a steal, you guys! The September box was dropped at about 7am in my house, which was amazing! Receiving packages is always a great way to start a day. I was pretty surprised though because instead of 1 box, I was given 2 heavy boxes. Just when I thought I was given someone else’s order by mistake, I got a glimpse of the boxes and found that they had different labels. I’m not going to waste your time by listing down all the products that came in the box. After all, you can clearly see the items in the photo above anyway. Haha! Let me take you through some of my favorites. The Mango Crisps from The Giving Tree are absolute bomb. 10 out of 10 would recommend in a heartbeat! I won’t lie, I don’t usually like anything freeze-dried — unless it’s “astronaut” ice-cream. But this had to be an exception. It's got the same sort of texture as honeycomb bits. They’d melt on your tongue the same way as well. The mango crisps were both tart and sweet. Uuuuugh. I can’t even express how much I love this product. Inspirals’ Kale Chips are another one of my faves. I actually bought another bag when I saw the Raw Bites stall at the SM Aura bazaar. The kale leaves are coated in a cashew nut sauce, but they’ve still got a bite to them. Personally, I’m a massive chip lover. I order nachos whenever I can, and I can’t resist hoarding bags of chips in the supermarket. I’d give up anything carb-related except potato chips. Now, I’m not saying these kale chips have completely turned me into a veggie-chip-only convert — because let’s face it, I’m NEVER ever going to stop buying Tostitos. Buuuuut the kale chips will definitely be one of my go-tos the next time I want something a little healthier. The Jealous Sweets sour beans were really cool too. I’m usually not a fan of sour flavors but somehow sour jellybeans seem to work its magic on me. Also, the Made Good Chocolate Chip Muesli Minis saved me on a previous road trip. I was starving, so I was pretty glad I had a pack of these stuffed in my bag. The October boxes came with even more colorful goodies! To be honest, I’ve been meaning to write this blog entry since early October. But I’m just not the type of girl who opens everything and tries one piece of each product all in one sit down. I’d be too worried about whether or not I’d have enough chip clips to retain the product's freshness. Yup, I’m that type of person! Haha! The aloe vera drink and the vegetable crisps are just 2 of my winners in this month’s box. The vegetable crisps were made from broccoli and pumpkin! I was so blown away. I remember wishing I had a bigger bag of this product. It’d definitely reduce my chip carb intake. 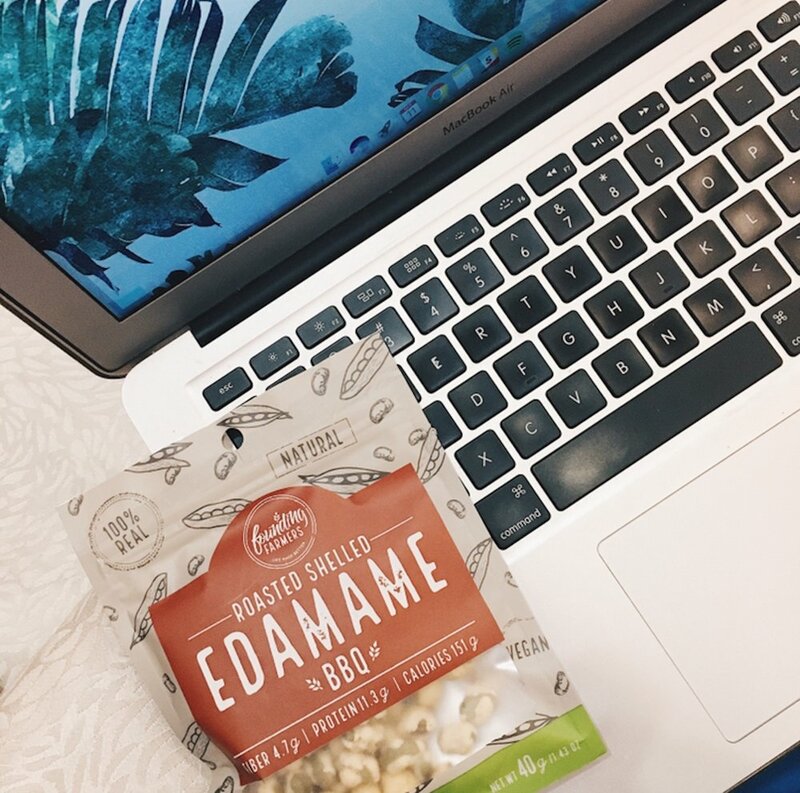 I’m also loving The Founding Farmer’s barbecue flavored edamame. I find this to be a way healthier version of the Philippines' DIng Dong. You know, those little packets with nuts and green peas? Granted that this one only actually contains edamame and no other pieces, I’d still be happy to munch on this in my spare time. I really loved how flavorful it was too. I’ve only got a handful left of my Candy Kittens Sour Watermelon gummies. I’ve been taking my time eating it because it’s too good I don’t want to run out of it just yet. I’m kind of crossing my fingers and hoping the November box comes with another Candy Kittens product. I’d love to try the other flavors! Okay, so remember how I mentioned there were 2 boxes for both September and October? That’s because Raw Bites partnered with Locally PH. Locally PH has released a new product range called Merci Buco, a name I find completely witty and fun. 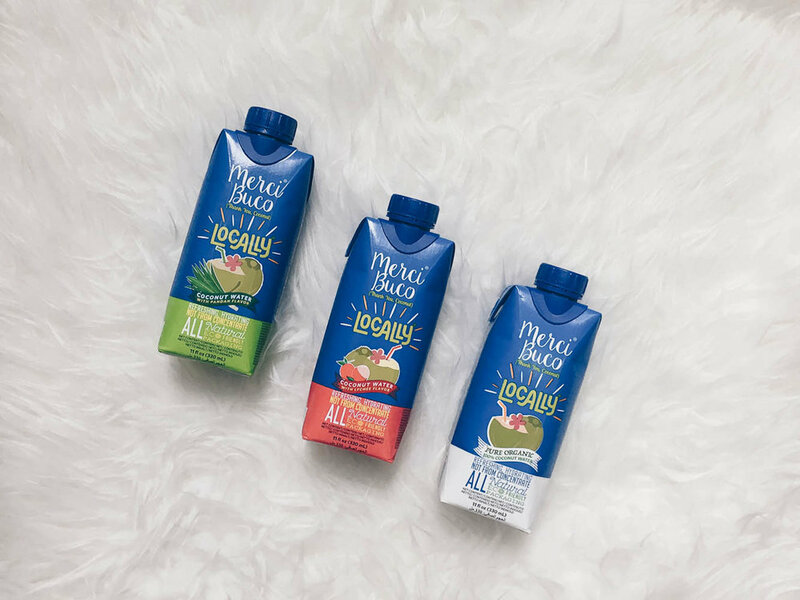 The coconut water comes in 3 flavors: plain, lychee, and buko pandan — I’ve been raving about the latter since day 1. I love buko pandan, you guys. It was practically one of the few things I craved for while in Spain for 3 months. I’ve been downing this baby like crazy ever since being introduced to it. I cannot and will not stop talking about how much I love it! And there you have it, guys! This has been an incredibly lengthy post, but I do hope I was able to encourage you to get a Raw Bites box of your own. I’m not a fan of the saying “your health is your wealth” because it sounds incredibly cliche. But I do think our bodies deserve a little break from all the fastfood and junkfood once in a while. So if you’re a snacker like me, subscribe to a box or 3 (or 6, or 12) today!